Adding extra space to your home is a more effective alternative to moving house. You might be happy with your home and reluctant to up sticks. Or you might be selling your home. To add value, you may consider adding an extension to your property. We at Exbury Homes can turn our hands to any extensions in Hampshire & West Sussex areas. Whether you’re extending downwards, outwards, or upwards, we can make that possible. All of our house extensions complement your home instead of stick out like a sore thumb. Our famed attention to detail and high standard of finish comes to the fore. If you’re not happy with our work, we’ll carry on till you are truly satisfied. We at Exbury Homes are perfectionists. Plus we can help you with the necessary paperwork such as planning applications. If you need to add space outwards, our house extensions in Hampshire & Sussex include single and multi storey projects. For example: you might want a two-storey extension, adding space to your kitchen and - as a knock-on effect - another bedroom or study. For single storey extensions, this may include garages and conservatories. The most obvious way of adding space upwards is by means of a loft conversion. These include the most basic conversion of adding a skylight roof. If you prefer, we could add a dormer roof or convert a hipped roof into a gable roof. For storage purposes, expanding downwards is an attractive method. You may wish to turn your basement space into a wine cellar, or somewhere to store items you seldom use. Or you could turn your cellar into a gymnasium or a tool store. Whether you wish to add space inwards, downwards or upwards, why not call us on 01329 661840 or send us an email addressed to info@exburyhomes.co.uk? All quotes are on a no-obligation basis and completely free. Could an extension tackle your space issues? The answer is yes. When you outgrow your home but would prefer not to move, envision the distinction more space could bring. 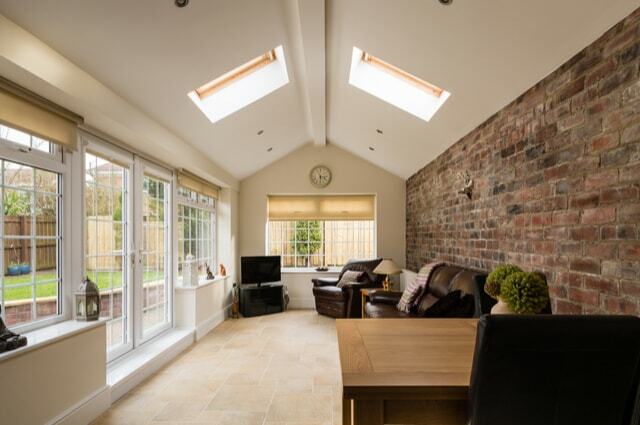 An expert house extension can bring in more light, space and value to your home. Also, furthermore, there are house extension Hampshire experts that can deal with everything about. House extension is a reasonable and ideal option as compared to moving especially if it is with the end goal of escaping jumbled environment. With expanding family sizes and an absence of room in numerous cutting-edge homes, it’s regular to expect that moving could tackle every one of the issues. However, with increasing expenses and a vulnerability in the property industry, it might be shrewd to expand your property. It will be helpful in many ways including adding room while increasing your home’s worth. It is essential to hire expansion experts they will guarantee your expansion meets the right building standards. They will also ensure excellent results as you are working intimately with exceedingly talented house extension Hampshire specialist so if planning is required, you could even leave the plans in their able hands and expect results. Choosing to add an extension to a home doesn’t need to mean trading off on its original character. The experts will coordinate the new materials with the current ones to guarantee the appeal and refinement of your house are upheld. It pays to get the extension worked to high expectation, and only reputable builders can deliver that. Also, Numerous UK homes offer space for extensions by a method for a loft change and even basements. However, every property and proprietor have their arrangement of conditions that can encroach on those plans. The cost of purchasing another house to cater for your ‘additional’ family will far exceed the value of getting an expansion done. Reaching out into a garden is fine if there is sufficient space to appreciate a while later. Another way of expanding a house is the Garage, but the resale estimation of the home will go down as there is parking. 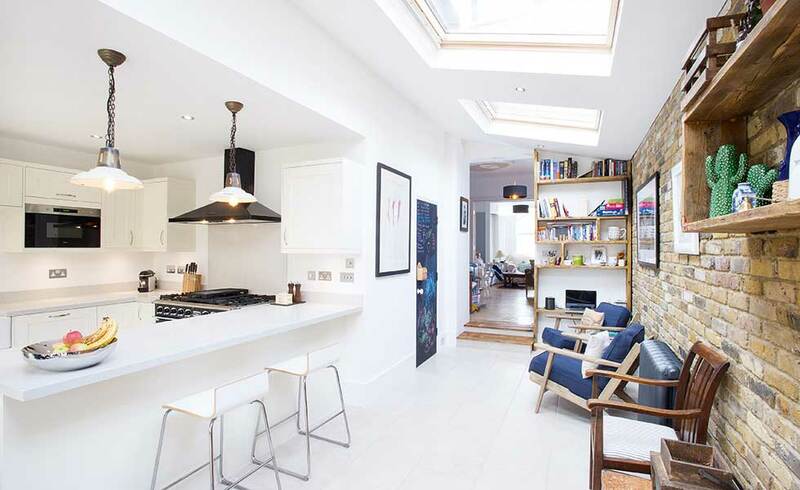 Basements are incredible in some regions like London however not by any stretch of the imagination alluring to purchasers in the countryside areas who, factually, incline toward lofts. Before you choose to change because of the many merits doing some research on the extension you’re thinking about is critical. Request that a couple of specialists give you a rule on what they imagine that additional room will add to the home regarding values. Property extensions, in general, can be a precarious subject. It can be hard to get a clear comprehension of the considerable number of all the rules, the directions and of course the expenses. That is the reason it’s a smart thought to get an appropriate handle on augmentation costs before you make a plunge. You can also consider utilising an expansion cost number cruncher to give yourself a general value review.